I decided I had to go out and "elevator-fan" one more time in 2014 before the snow fell and the days became too short. So I set out super early in the morning of November 9. This was my trip plan. I departed right on time at 4:30 AM. I quickly noticed that my Civic only had half a tank of gas... oops. I figured I could fill up in Portage la Prairie so I breezed right by the 24-hour gas station in Headingley. I stopped in Portage for an early breakfast, but I couldn't find an open gas station. "No worries," thought I, "there's a gas station at the corner of the TCH and highway 16." Of course, it was closed too. I carried on to Gladstone. There was a Co-Op gas station in Gladstone with a few lights on inside but it was closed. I found someone nearby and they said it would open at 6:30, which was only about 15 minutes away, so that was good. I waited, and by 6:35 they hadn't opened so I checked the opening hours and they weren't opening until 7 on Sundays. Darn it! 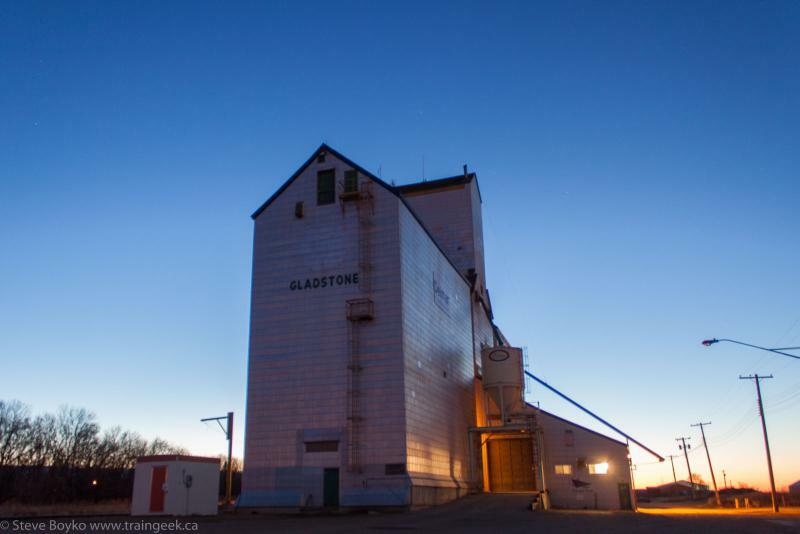 There was nothing to be done about it, so I decided to go photograph the Gladstone elevator while I waited. I went back to the gas station to wait for 7. While I was sitting there, I heard a train horn! I rushed back to the tracks and very soon westbound CP 2313 was rolling past at 7 AM exactly. 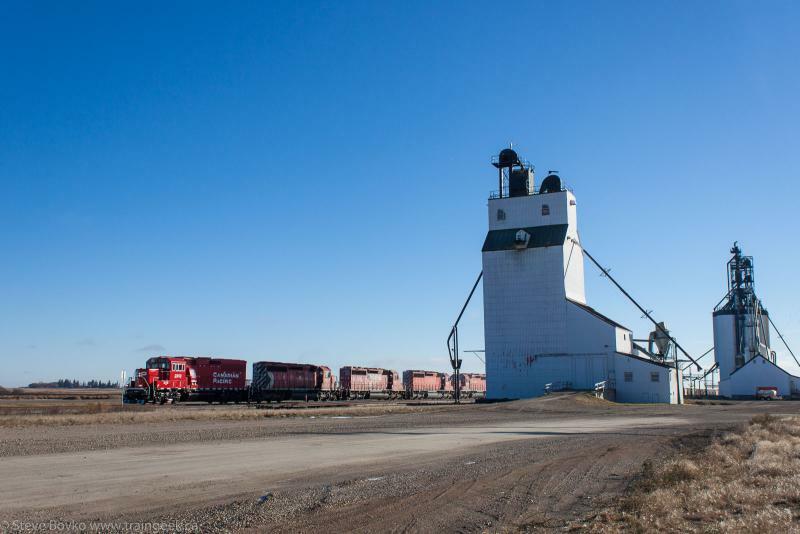 The signal head is protecting the CN-CP diamond in Gladstone. 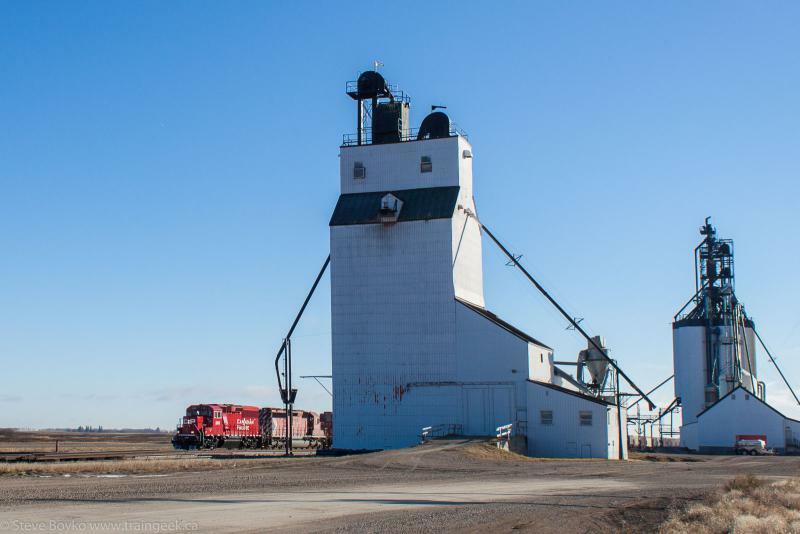 The CN Gladstone and CP Minnedosa subdivision cross on the west side of town. After (finally) filling up, I headed for Newdale, my first target. 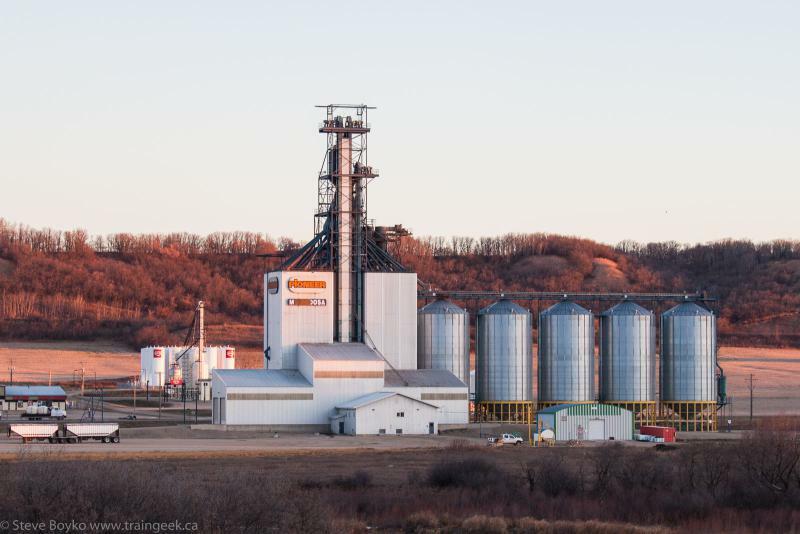 As I passed Minnedosa, I took a photo of the Pioneer facility there. 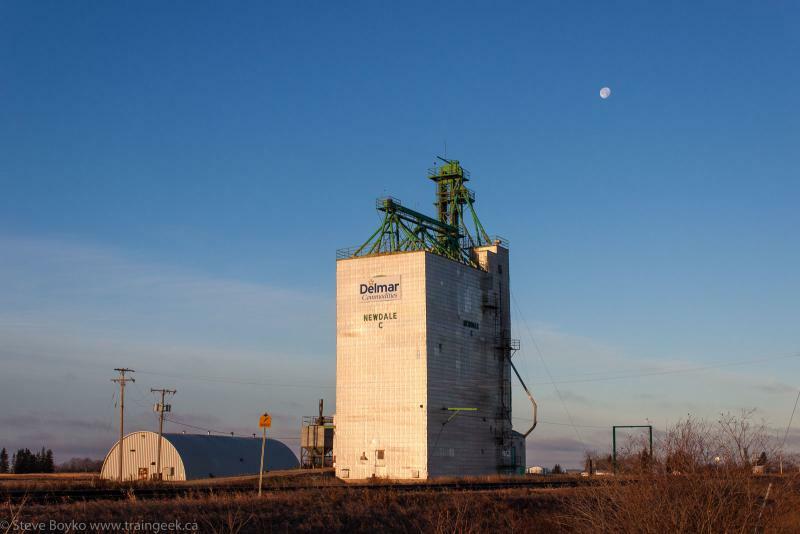 There are two grain elevators in Newdale, a former Cargill elevator that is now owned by Delmar Commodities, and a former UGG elevator. After photographing those, I carried on to Glossop to the Parrish and Heimbecker facility there. 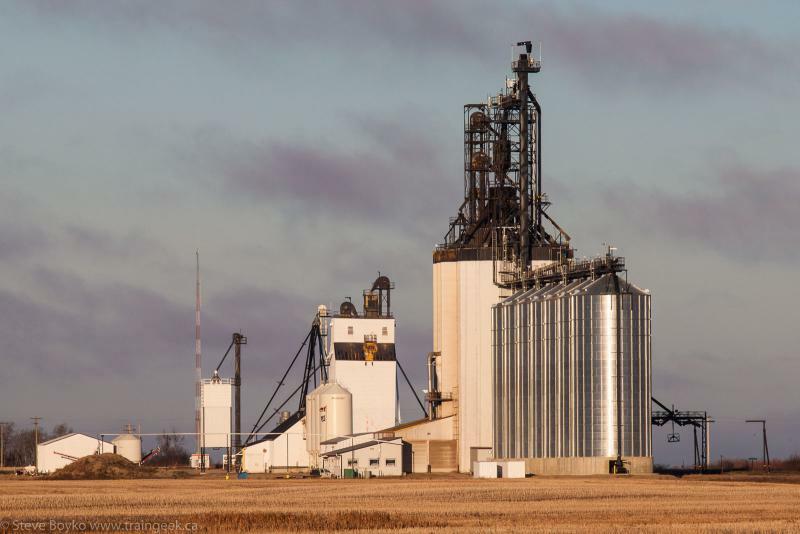 There are two elevators, a modern concrete facility and a traditional wood elevator. 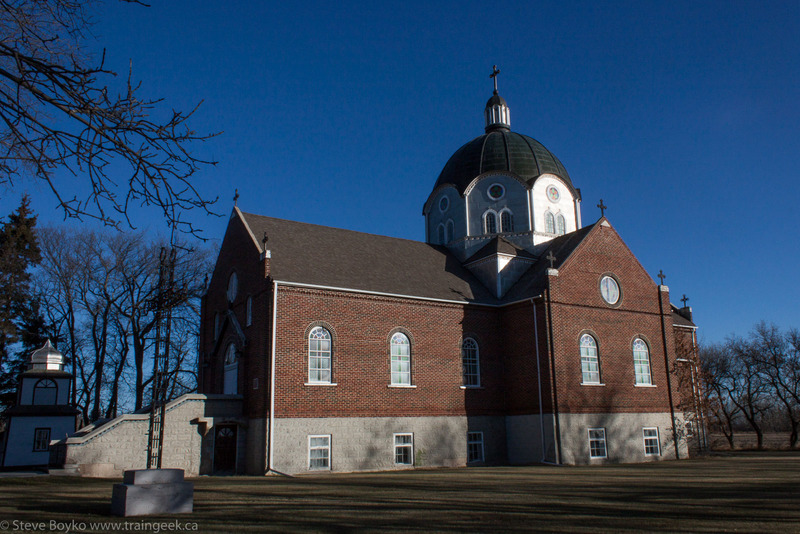 I had driven on a very narrow side road to take this shot, so I continued driving to a place I could turn around. 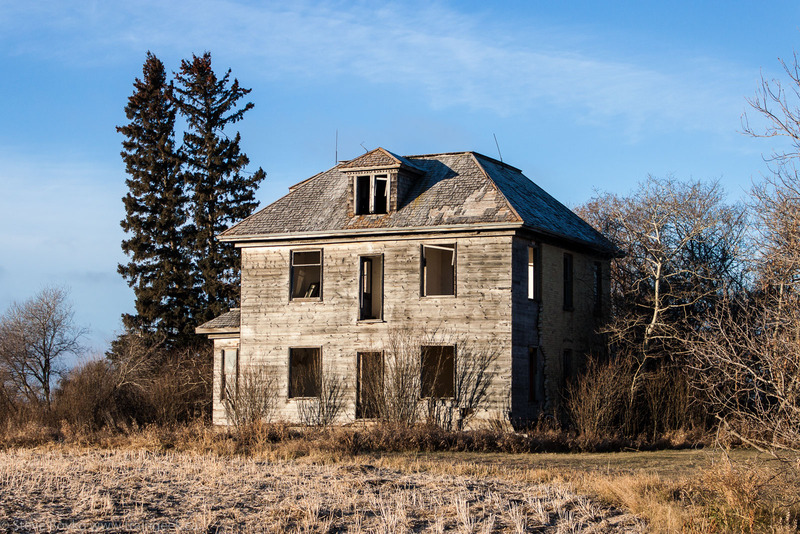 As I stepped out of the car to photograph an abandoned farm house, I heard a train horn. I took one quick snap and headed back to the tracks. It was an eastbound, with CP 8756 and CP 5903 leading a general freight train. That was my first train on the CP Bredenbury subdivision. How exciting! 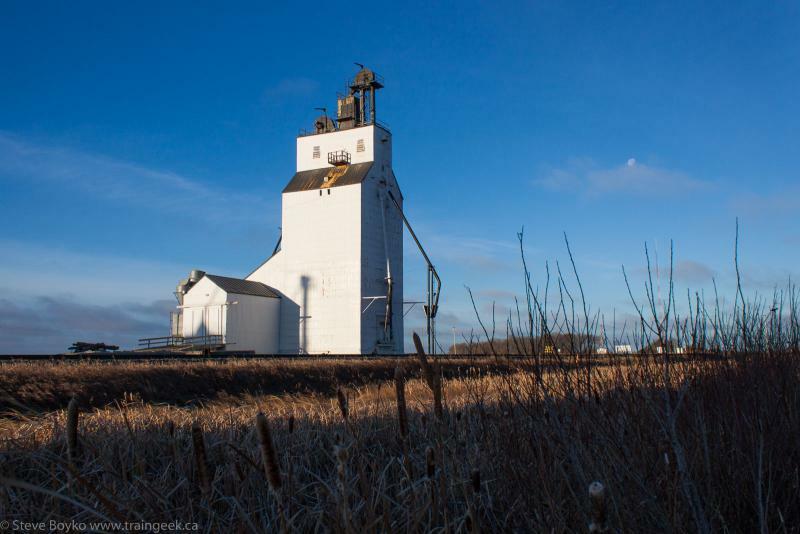 I carried on to photograph the other grain elevator there. 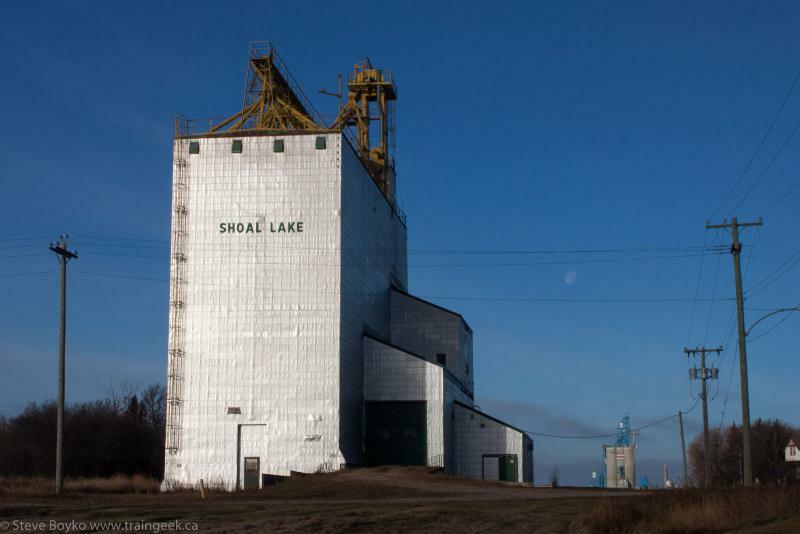 The next location was Shoal Lake. 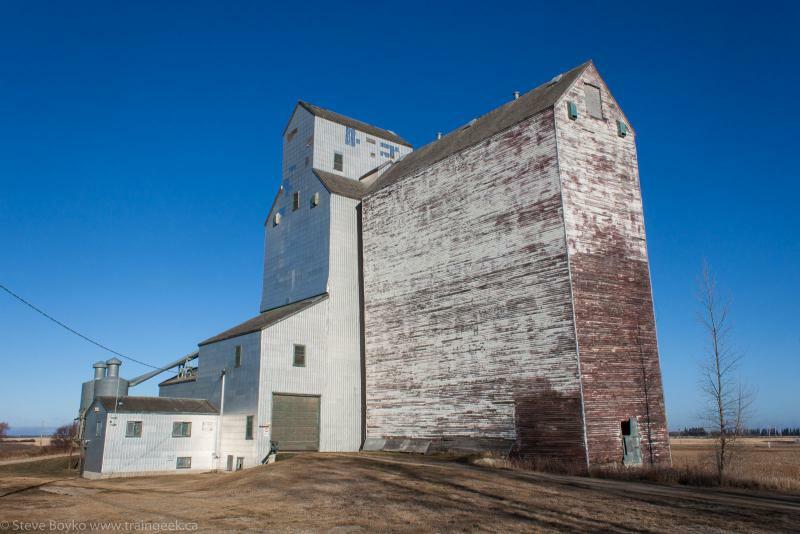 This town has three grain elevators, although it is obvious that it had more. I saw foundations for two more elevators. 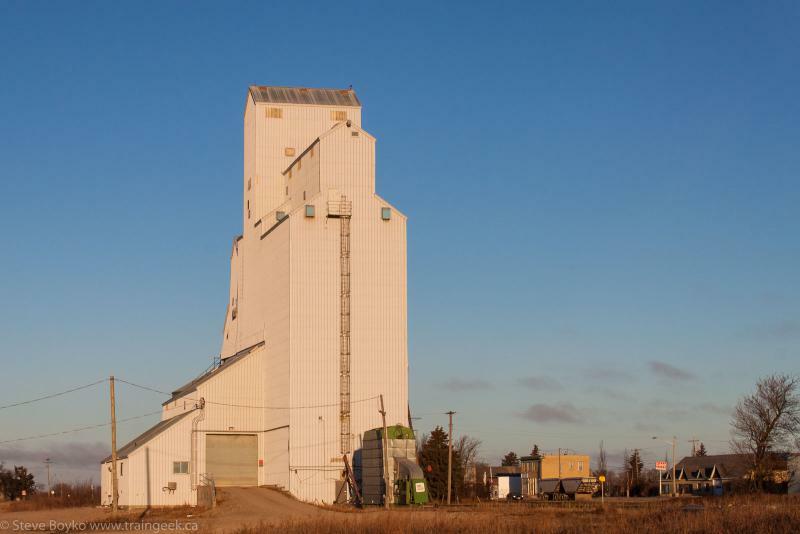 The easternmost one is a former UGG elevator. The middle one was clearly a Manitoba Pool elevator. 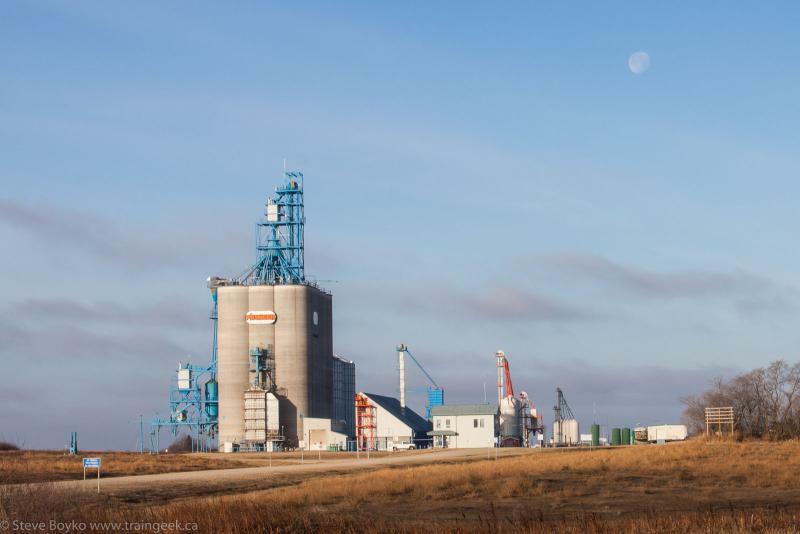 The third elevator is visible in the distance. 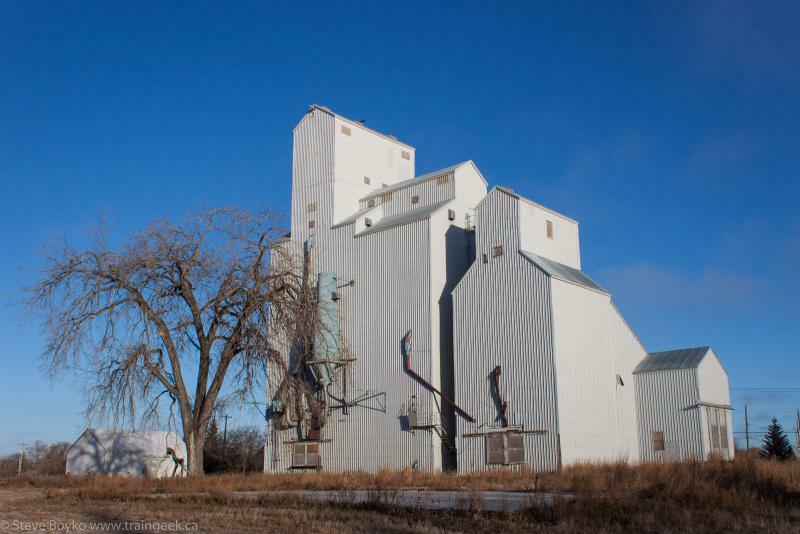 The third elevator is a concrete Pioneer grain elevator, located outside of town. It had a number of grain cars parked nearby. At this point I had to make a decision. Because of the time I lost waiting for the gas station to open, I wasn't going to be able to see all of the elevators I planned to and still get home at the agreed-upon time. I decided to continue on to Oakburn and abandon the last two for another time. Oakburn was the only one on this trip that wasn't on an active rail line. Oakburn was on the former CN Rossburn subdivision, abandoned almost 10 years ago. The annex has a big hole in the side, unfortunately. There's a lovely church in Oakburn, the Holy Eucharist Ukrainian Catholic Church. So that was the end of my elevator tour. Fortunately, it wasn't the end of my railfanning! 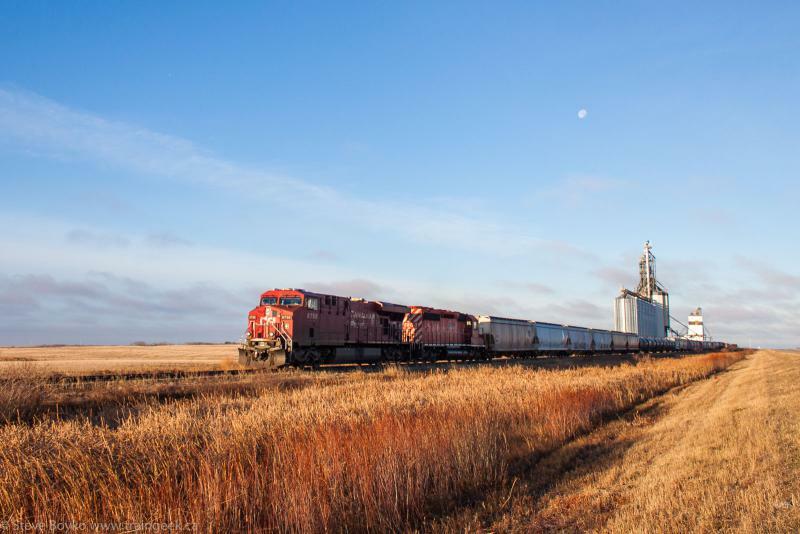 As I passed Glossop on my way back toward Winnipeg, I noticed a train in the distance. I doubled back to include the elevators in the shot. I was surprised to see that this was the same lead engine that I saw earlier in the day at Gladstone! 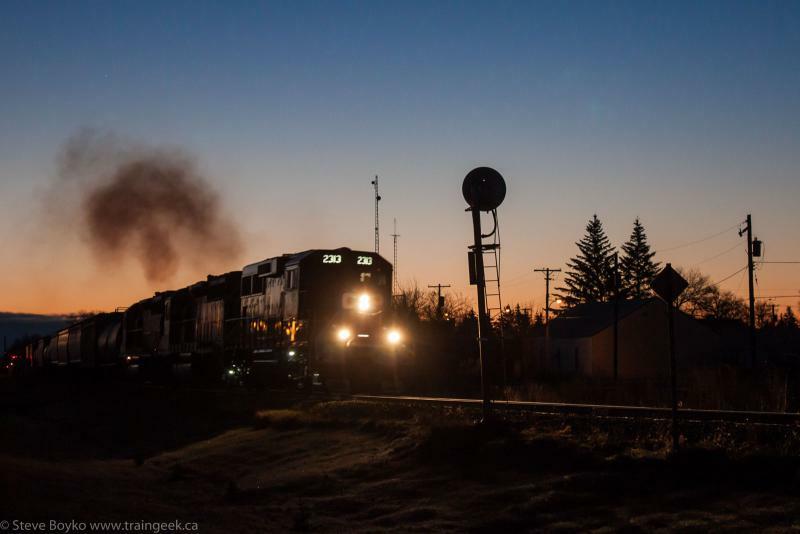 However, it had 5 engines on the train, so it must have picked up a couple in Minnedosa. CP 2313, 5952, 5841, 6040 and 5923. 2313 is one of the shiny "new" GP20C-ECO locomotives. That was exciting, but that wasn't the last train I saw... more to come in the next post "Trains, Trains and More Trains". Nice travelogue, Steve. 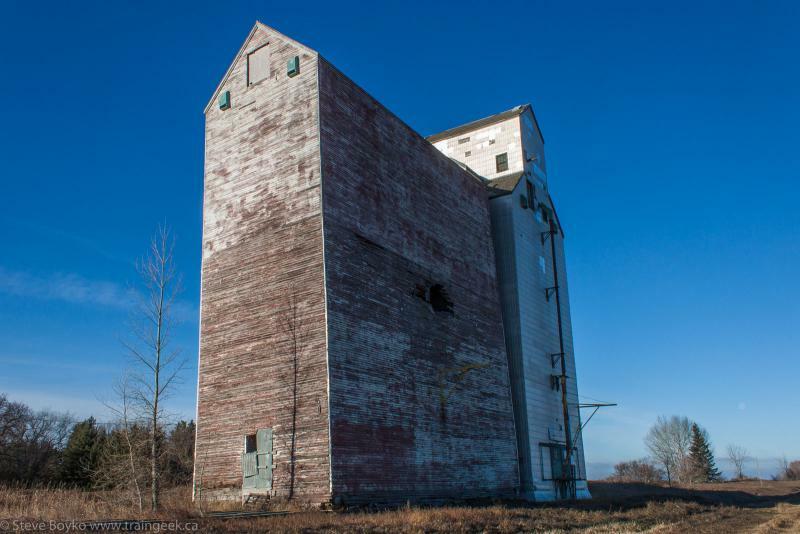 Oakburn elevator...Manitoba meteor strike in the annex?? Yeah, I was wondering how that hole got there, Eric! I'm thinking wind but a meteor strike is a definite (ly remote) possibility!